HomeMoneroHow to Buy Monero on LocalMonero in 2019? Monero, the privacy coin has gained a lot of attention and adoption in recent times owing to its true private transactions. Buying Monero was not that difficult, given the popularity of the coin, it has been listed on some of the major exchanges around the world. 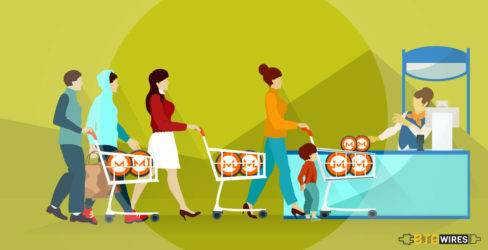 Monero has also launched its own community market place known as Local Monero to make buying, selling and trading the privacy coin even easier than before. This article would serve as our beginner’s guide on how to use the Local Monero market place. LocalMonero is a peer-to-peer marketplace which allows the users no matter which part of the world they are located or which fiat currency they use, the network allows them to buy, sell and trade Monero safely. It’s quite easy to use and anyone looking to make a trade can use the platform to do it safely. A user can post add and can also decide the currency in which they want to trade. Any local user who finds the advertisement suitable would respond to the advertiser. LocalMonero acts as an escrow where it holds the Monero coins in a transaction wallet and once the payment has been completed by the buyer, it releases the held Monero. LocalMonero also takes care in cases where there might be a dispute between the two parties. The community or the team in control of the LocalMonero are located in Hong Kong which is understandable as Hong Kong has friendly crypto regulations making it a hub for cryptocurrency related activities. The other factor which serves in favor of Hong Kong is that it is one of the three economic capitals of the world. How LocalMonero is Different From an Exchange? LocalMonero is quite different from any other crypto exchange, the first major difference is centralization and decentralization. While almost all the exchanges are centralized and have a streamlined working structure, most of these exchanges does not even allow for buying Monero against fiat. LocalMonero is a community-backed project and can be used by any user from around the world to trade monero against any fiat. It’s safe, secure and a truce blockchain backed platform, which makes use of a form of smart contract for trades and you can be assured that your coins won’t be lost in the heist, which is quite common on exchanges. How To Buy Monero on LocalMonero? Using the LocalMonero is as easy as signing up for a new website, and apart from the signing in and registration option on the home page, there is a search option, using which you can fill in amount of the Monero you want to trade, the currency in which you want to make the trade, the country where you are looking to make trade and whether you want all online offers or just offers with a particular payment option. Apart from the search option, you can also browse through various advertisement put out by other community members. Each advertisement has the name of the advertiser, the location and the price. You can click on any of these advertisements and select the buy option if it suits your needs. You can also directly click on the “Buy Monero” option from the task-bar which would take you to a separate page to buy the crypto in your country. You can also select a location from the bottom and other options are similar to the home-page. You will also see various advertisements similar to the home-page. Once you click on the buy option, you will see more options including the trade terms. If you find the trade terms inclining with our needs, you can enter the amount of Monero you want to buy and send in a trade request. If you are not satisfied with the advertisements, you can also create an advertisement of your own. Once the trade request is accepted, pay the amount in fiat of our choice and select the option, “I have Paid.” The seller would verify the payment and the LocalMonero would release the amount of Monero held in the escrow. There is no registration fee, if you make use of the exchange from the existing advertisement there is no fee for that either. The transaction fee for wallet transaction is also nil. However, if you decide to create an advertisement of our own, then you need to pay 1% of the total trade value after the trade is complete. If you make a transaction between localMonero Wallet and any other wallet, then you would have to pay the transaction fee.